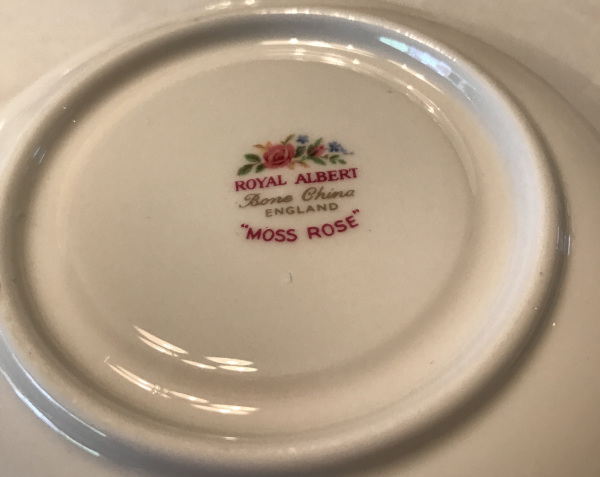 1956 Royal Albert, Moss Rose Pattern, Tea Cup as seen from left side. 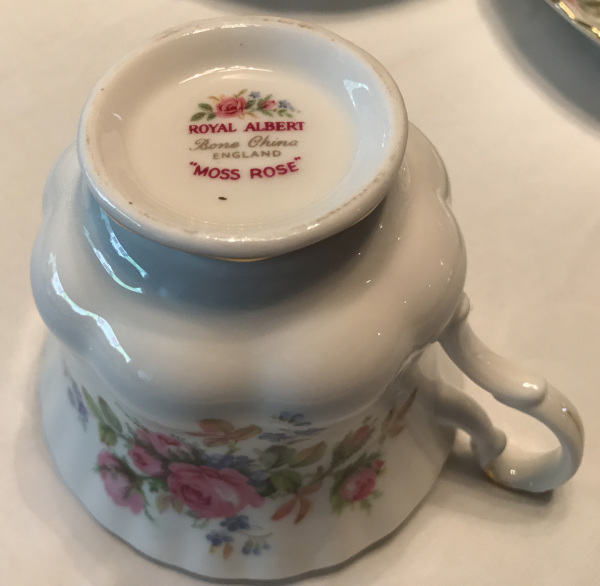 1956 Royal Albert, Moss Rose Pattern, Tea Cup as seen from right side. 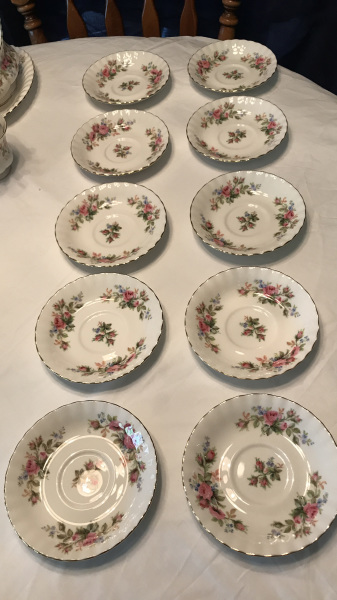 1956 Royal Albert, Moss Rose Pattern, Tea Cup Saucers, set of 10, as seen from top. 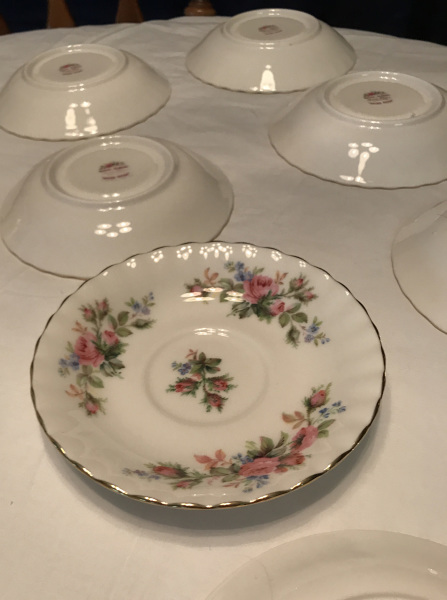 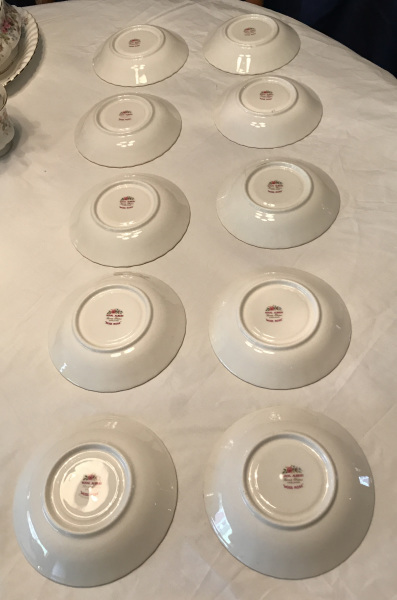 1956 Royal Albert, Moss Rose Pattern, Tea Cup Saucers, set of 10, as seen from the bottom. 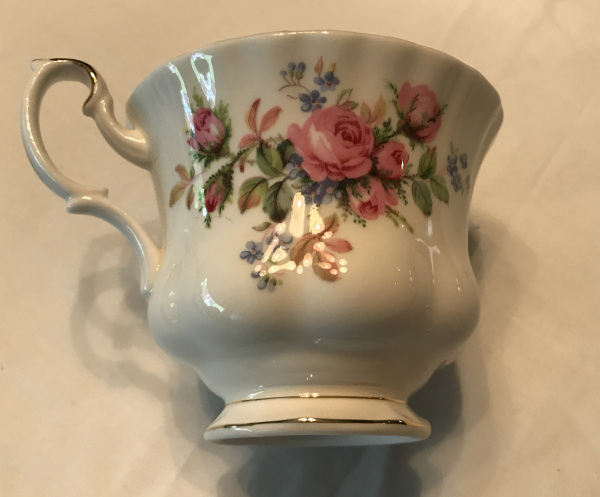 1956 Royal Albert, Moss Rose Pattern, Tea Cup Saucer as seen from top. 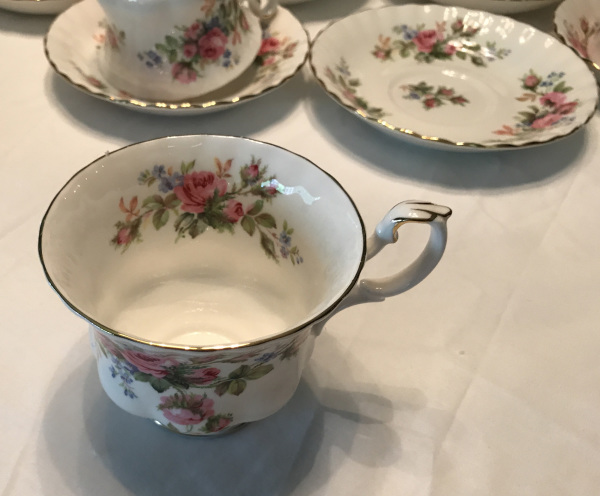 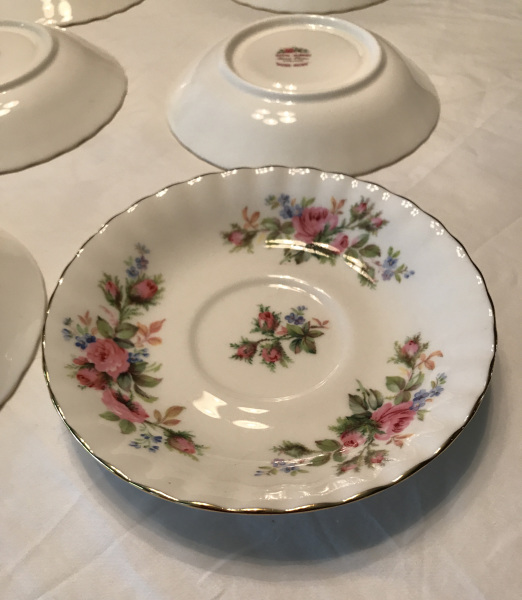 1956 Royal Albert, Moss Rose Pattern, Tea Cup as seen from base with maker's mark. 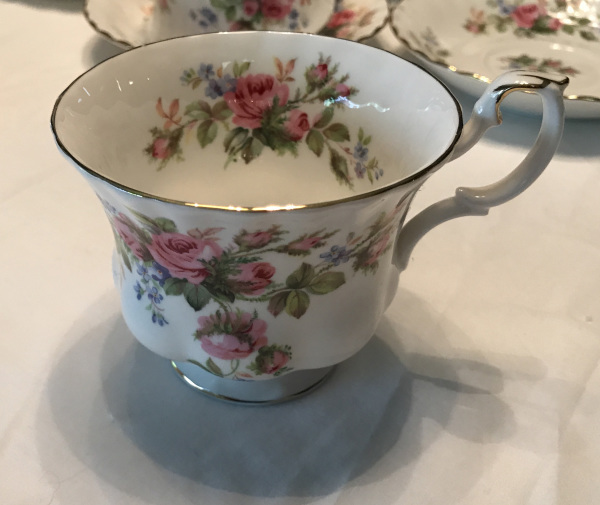 1956 Royal Albert, Moss Rose Pattern, Tea Cup Saucer as seen from bottom showing makers mark. 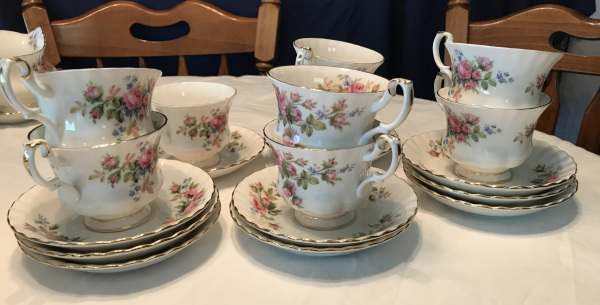 1956 Royal Albert, Moss Rose Pattern, Tea Cups and Saucers with cups flipped upside down showing makers mark. 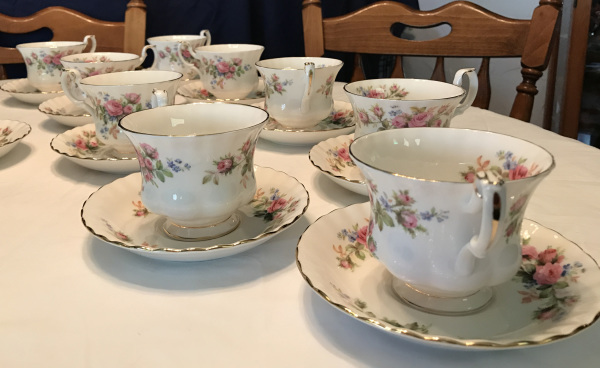 Description1956 Royal Albert, Moss Rose Pattern, Tea Cups and Saucers, view of inside of cups. 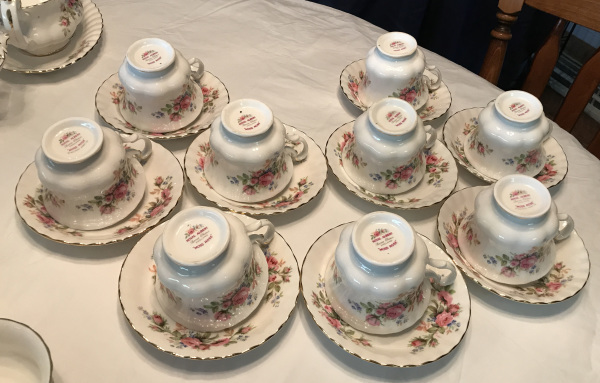 1956 Royal Albert, Moss Rose Pattern, Tea Cups and Saucers stacked for storage. 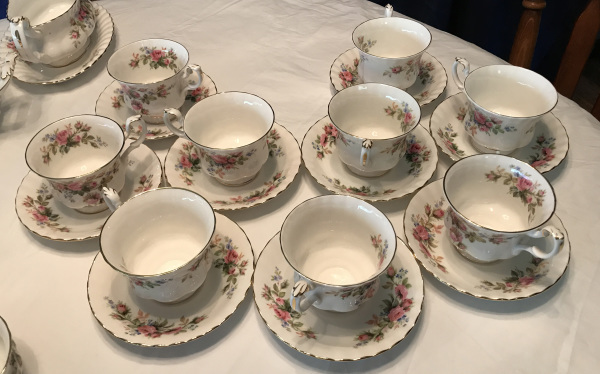 1956 Royal Albert, Moss Rose Pattern, Tea Cups and Saucers; collection display. 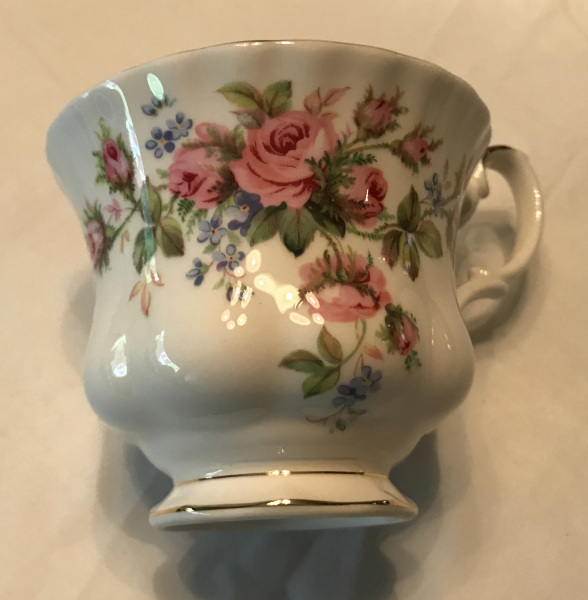 1956 Royal Albert, Moss Rose Pattern, Tea Cup showing pattern inside of cup.